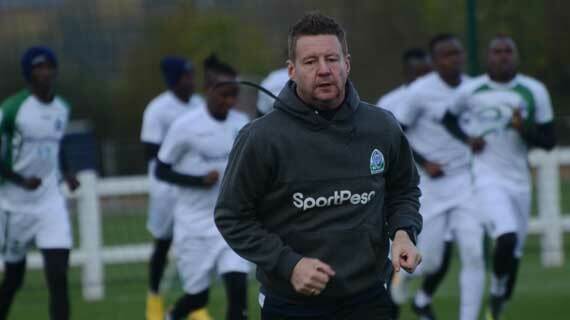 Gor Mahia head coach Dylan Kerr has encouraged his players to give their all when they face Everton in a friendly on Tuesday evening, urging them not to leave the pitch with regrets in the once in a lifetime match. Kerr says they will be under no pressure to win, but also pointed out the need to give a good show and ensure they showcase African football to the rest of the world. “I have faith in them that if anyone gets the opportunity, they will go and show some good standard of football. I don’t want them to go in there and then leave with regrets after 90 minutes. That would be disappointing for me,” Kerr said after the team’s session on Monday evening. Looking forward to the match, he expects a tough test from Everton, but notes they will be ready to contain any kind of threat and leave the pitch with maximum points. “We can’t afford to give Everton a chance on the ball because they have very good players whether it’s a different squad or not because if you play for Everton, you must be really good. If we get to dictate possession, we will cause them problems. But we have to be really organized,” the tactician stated. The highly anticipated match will be played at 10pm EAT and shown on all major TV stations.